To the reader: Please note that the text by J Posadas: “ON THE FORMATION OF A PALESTINIAN STATE AND THE WORLD REVOLUTIONARY PROCESS”, 19 February 1978, is to be found at the end of this article. In the Labour Party, the “Jewish Labour Movement” (JLM) takes part in “anti-Semitism” campaigns aimed at intimidating the anti-war and pro-Palestinian supporters of Jeremy Corbyn; and Corbyn himself. The “anti-Semitism” of the JLM favours some Semites of Jewish origin to the exclusion of the Semites of Arab origins and others. This justifies Israel’s colonial policies in Palestine and its imperialist role in the world. In so-doing, the JLM shores up the continuing imperialist structure of the Labour Party. The top Labour Party executives who endorse the JLM’s false pretense of anti-Semitism in the Labour Party will soon clash with the growing sophistication of the Party’s membership and workers’ base. 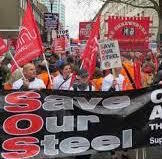 If those executives turn to mischief-makers against the Labour Left, it is to stop the Left (in the Party and in the Trade Unions) joining hands firmly around the Corbyn leadership. They fear the Corbyn’s leadership because it responds to the working masses and puts people’s needs above personal ambition. To date, several dozens “anti-Semitism” smears against Labour comrades have led to the ‘suspension’ of perhaps 50 Labour members, and some exclusions. The victimisation of so-called ‘anti-Semites’ in the Labour Party is driven from the top of the Party, and not just from right wing sectors. As in the case of Ken Livingstone, the comrades targeted are supporters of Jeremy Corbyn or/and comrades connected to Momentum and Peoples Assemblies (these being mostly pro-Corbyn). This operation is having unintended consequences however: it brings to the attention of the whole world how leading sectors of the Labour Party (like the PLP) plot against the growth of the Party, and collude routinely with press jackals and imperialist Labour ‘donors’. It is not in the interests of capitalism that this should come to the attention of the world. In the United Kingdom (UK), the working population watches a scene where many top Labour leaders (like Hilary Benn) align directly with the capitalist class and its wars. These leaders mock Corbyn’s struggle in defence of peace, of the poor and of the working class. They demonize his best defenders. They are so scared of the working class that they prefer to side with the employers’ class. If they can predict Corbyn’s failure as a future Prime Minister, it is because they intend … to arrange it. Through this also, the working class – and the growing number of its allies – gets a measure of its social importance, its weight as class and its feeling of power. It observes the historic meltdown the ruling class is in. It notes how Tory Cameron came to need the verdict of the British masses (through an absurd EU referendum) to face down his internal Tory opponents. Aware of its bankruptcy at all levels, the capitalist class dreads the development of anti-imperialist and pro-Palestinian views in the Labour Party. 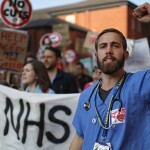 The expulsion and suspension of long-standing Labour supporters takes place also in Momentum, a growing national campaign with some 100 local organs, created from within Labour AND from outside. 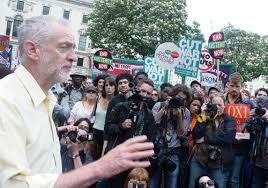 It draws strength from all the previously created anti-cuts, anti-austerity, anti-capitalist and socialist groups. The Labour Party machinery has shown to Momentum very little recognition for its (Momentum) part in having Islamist-born Sadiq Khan elected as London Mayor. Khan thinks that he won through his own cunning, but the anti-racist support of the pro-Corbyn Momentum campaign was decisive in his election. 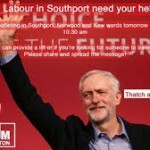 The “anti-Semitism” campaign unfolding in the Labour Party draws strength from Labour Party structures that cannot see beyond the imperialist role of the ‘United Kingdom’ (UK) in the world. These structures practically accompanied the birth of the Labour Party in 1900; and when Labour came to government for the first time in 1924, it justified its imperialism and its anti-communism via a special blend of pragmatism and bourgeois idealism. Over the last 100 years, British and world imperialism have fine-tuned their use of Israel as spearhead of world counter-revolution. The Israeli State assists world capitalism in its blind battle to continue accumulating capital, even if life and the environment perish of it. The continued extermination of the Palestinians is part of the fight of capitalism to survive. This protracted process of extermination can only end with the end of capitalism. Not rare are those who think that Jewish people are to be found wherever power reigns – Labour Party summits included. This is false however. Few people ever refer to the hundreds of thousands and millions of Jewish people who fight against capitalism in all parts of the world, and in Britain too. In shoring up the imperialist structures of the Labour Party, the JLM itself invites the thought that ‘Jews’ are the problem, and not capitalism. As the Labour left looks for justice against its accusers, it discovers the opportunity to form itself into study-groups and anti-imperialist currents. 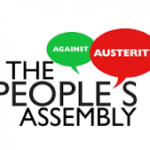 In the Labour Party and its trade union base, this new opportunity assists the formation of anti-austerity tendencies. 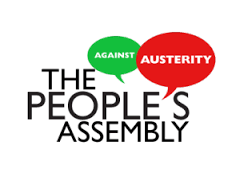 This is expressed in the rise of pro-Labour Peoples Assemblies, pro-Corbyn Momentums, workers’ strikes – and large ‘anti-cuts’ mass and trade union demonstrations. 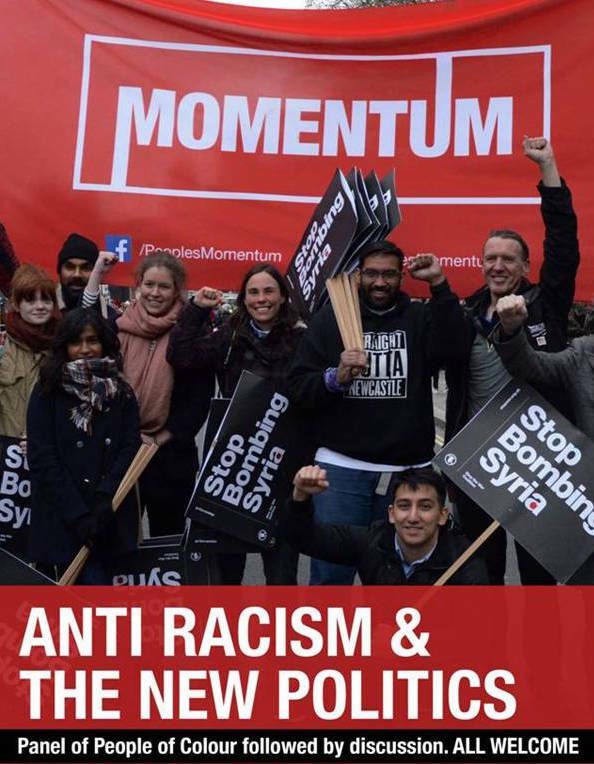 The present ‘anti-semitism’ attack works against its originators because it encourages the Labour Party’s members to meet, to welcome the struggle of the working class, to develop its own capacity and to improve the Party. With its destruction of the Palestinians – and others – Israel deprives itself of its most important resource: its own people. For it cannot give life to the Jewish population by surrounding it with walls. When the world stands on its feet, all the populations of the Middle East will discover the simple solution of living together, and sharing together. This cannot be done in capitalism however. This is why it is necessary to speak of the need for the Socialist Federation of the Middle East. The present cul-de-sac situation in the Middle East gauges the incapacity and impotence world capitalism has sunk in. There is the cultural side of Zionism, and its political side. Cultural Zionism blossomed in the 18th Century as a spiritual movement of its own. It continues today as the expression of a culture and an identity. The political side of Zionism came about in the late 19th Century, even before the Balfour declaration of 1917; the political idea of the World Zionist Organization was to establish a homeland for Jewish people, and generally preferred to locate it in Palestine. Some prominent Jewish leaders did not agree with this, like Lord Edwin Montagu (April 1917). It was Arthur James Balfour who suggested Palestine in a letter to the British-Jewish Community in Nov 1917. Simultaneously, Henry McMahon who was negotiating with Sharif Hussein (King of Hejaz) suggested to the Palestinian Arabs that they could stay in a part of Palestine. Imperialism later reneged on that promise. Around 1947, the UN offered to both the Arab and the Jewish peoples a partitioned Palestine, but both sides rejected this. Even before 1947, Jewish guerrillas were attacking the British troops in the Mandatory Palestine, and were already throwing the Palestinian Arab communities out of their lands. In 1948, the Israeli government in exile declared ‘the Jewish State’ (the UN accepted this as a fait-accompli) and this was the start of the Naqba against the entire Arab people in Palestine. Few people can ignore the building by Israel of a steel and concrete wall that stops the Palestinians (those who have remained) tending to their lands and flocks. The Israeli settlers have also caused the tightening up of internal borders, to control the Arab workers transiting into Israel daily. The encroachment on Palestinian lands is entirely illegal; it is often the ruse used for the security forces to be called, with the result that an area is cleared and a new Israeli settlement can start. The world was horrified by the savage bombardment of Gaza in July 2014, with the total destruction of hospitals, schools and homes. This war on the civilian population is beyond the inhumane. Jewish organisations support the Palestinians. Few people in the Middle East and beyond ignore that Israel is the occupier of Palestine; this has been emphatically testified to by massive protests throughout the world. Israel continues to be in the world’s limelight. It is widely criticised not only for its role in the Levant and its relationship with America, but more importantly for its treatment of the Arab populations. Very recently, draconian Israeli laws have de-recognized the nationality and the religion of the Arab population. 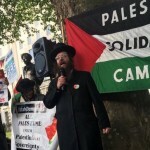 To facilitate a critique of the Israeli State and its society, we have to look at why Israel’s supporters object – in Britain and abroad – to any scientific criticism of occupied Palestine; and why they so support Israel’s projection of Zionism and Judaism, particularly in Britain (with the current attacks on the Labour left) and elsewhere in Europe. There is a clear need to rectify interpretations that work against the left, sometimes even from the left itself. For example, we should make no apology for criticising all the forms of political Zionism. The meaning of the word and its political application are precisely what it says ‘on the tin’: The “Law of Return”, but for Jewish persons only, to the exclusion of the indigenous Arabs, who are Semites like the Israeli Jewish population, and who are being thrown out. We need to challenge vociferously Israel’s so-called right to speak for all the world’s Jewry. Indeed, many Jewish people are also Arabs; Judaism refers to a religion, not to a race or a nationality. It includes the Ashkenazis (main European followers), the Sephardis and the Falashas (Black Ethiopians) – all of them Arabs and of Jewish persuasion. They permanently reside outside Israel, and are in no way subject to the Israeli State; they would not necessarily want to go there, particularly in light of the arrogant denial of civic status to Arabs there. They have no reason either to recognize Judaism as the only religion. There are other communities in Judaism: The Hassidins (Hasidics) for examples, can be found in Israel, in Europe and in the world; they do not recognize the colonization and suppression of the Palestinians. Indeed they support the Palestinians; they want to live alongside them, and do so in Jerusalem. It is most unjust to ignore the various Semite Christians (minorities around the Greek Melkite Church, the Eastern Orthodox Church and the Coptic Christians); plus the large numbers of Muslims themselves, in Jerusalem and elsewhere in Palestine. All these populations have resided in Palestine for hundreds of years – since the main schism in Christian religion. Several splits in the Christian church took place over time throughout the Middle East – as in Egypt – and all these people are Christians and Semites. 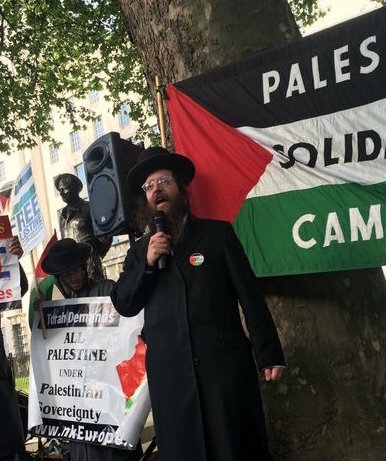 The confusion over anti-Semitism and its amalgam with anti-Zionism allows the arbitrary disciplining of Labour comrades who criticise Israel’s political Zionism. In the absence of Labour enquiries where the Labour membership can participate and speak, the comrades under accusation cannot explain that they repudiate political Zionism, and not cultural Zionism as bearer of Jewish culture and identity. 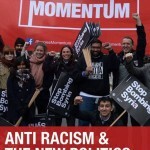 Most Labour comrades censured in the Labour Party are accused of “anti-Semitism”; but anti-Semitism takes issue with religion and race, and there is no evidence of this at all in the Labour membership; indeed there is a strong culture of respect for religion and race in the Labour Party. 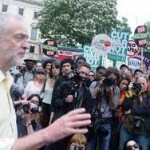 The perfidious conflation of anti-Semitism and anti-Zionism allows Labour executives to discipline left-wing comrades whose only crime is to repudiate the political Zionism of Israel, along with the imperialist support the Labour Party grants to Israel, in spite of occasional protestations to the contrary. The imperialist structure of the Labour Party generates the leaders which the Party’s pro-imperialist policies requires. This is how Blair could rise to the leadership, and for years dominate the Party’s conferences with anti-working class acolytes whose rise in the Party had been facilitated by the Party’s structure – keeping the potential representatives of the working class outside the leading organisms of the Party. Today, these acolytes see that they can no longer shut the ideas of the working class out of the Party. 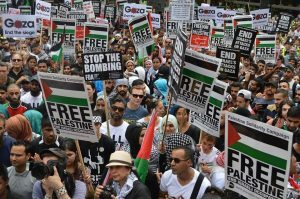 They are alarmed by the large rise in the number of Labour members disgusted by Israel’s bombings of Gaza, Israel’s extermination of the Palestinians and Israel’s imperialist role in the world. The suspended and expelled Labour comrades denounce the political Zionism of the State of Israel. 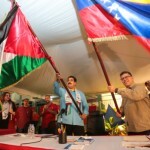 Venezuela and the Palestinians exchange flags, Nov 2014, in Caracas. May 15th was the 68th Anniversary of the Naqba. The distinction between anti-Semitism and anti-Zionism is not lost on the Palestinians! They have seen the raw side of political Zionism. The genuine left-wing supporters of the Palestinians do not ignore this distinction either; but this needs to be more widely discussed, particularly in the Labour Party, if only to defend the wrongly accused comrades. Israel is often presented as a “special case” and indeed, it has some unique features. It has large landless and disenfranchised populations robbed of their identity and vote, in a State that actively expels them; but in spite of seven decades of this, the Arabs are very much alive and kicking. They have heroically resisted the settlers at the cost of hundreds of thousands of lives, and under the accusation – recently reiterated by Prime Minister Netanyahu and Foreign Minister Avigdor Lieberman – of being “a threat to the integrity of the Israeli State”. No other nation restricts access to its capital-city, the way Israel does against its main indigenous population. The Eastern part of Jerusalem has been settled by Arabs for thousands of years, alongside Armenians, Moroccans, Haredi Jews, Orthodox Christians and others. The capitalist countries, and the UK in particular, bear a heavy responsibility in the shambles of the Mandate years preceding the Naqba in 1948, as well as with the implications of the Balfour Declaration (in the form of a letter) signed on 2 Nov 1917. The cast was further set when British imperialism broke its promise to the Arabs, when the British-controlled Mandate handed Palestine over to the new Zionist State. The sad saga of the creation of the State of Israel is a further instance of imperialism’s role and meddling in the MENA region, the consequences of which having been borne by the persecuted Arabs. The start of Arab Springs in some countries was heralded with much fanfare by the Western powers as “liberation”; but when these Springs gave rise to progressive movements, as in Tunisia and Egypt, world imperialism ensured their defeat. In Egypt, with Mohamed Morsi leading a Moslem Brotherhood government for a year, there had been the possibility that he would link up with Hamas in Occupied Palestine, with the potential of a rising in Gaza where Hamas had won important seats in an election there. In fact, the Israeli government refused to recognize the election of Hamas. Had Morsi and Hamas linked up, the resulting rising might have spread to topple the PLO Abbas leadership and strengthened Palestinian organisation. The Egyptian general Abdel Fattah el-Sisi – part of the old Mubarak military caste – bloodily repressed the Egyptian masses and sought to dismantle the Brotherhood with obvious imperialist and Israeli backing. Only very recently, we had the sickening spectacle of el-Sisi turning up in Paris to foster ‘Peace talks’ on Syria, whilst Russia and Syria were not allowed to attend those talks which were entirely controlled by the West. Turning back to Israel, let’s first consider the forces that are currently in opposition. Amongst those, some are well known already in the West: there is the ‘Peace Bloc’ who refuse to serve in the army; there is ‘Breaking the Silence’ who are anarchists against the war ; there is ‘Togetherness’ to mean ‘Work Together with the Palestinians’, and the Israeli Committee against House Demolition, ICAHD. It has to be said that the official Labour Party and Histadrut are essentially of the political Zionist leaning, as are a multitude of smaller parties. On the far left, there are many single-issue groups such as the ‘Peace Now’ movement. Very small Arab political parties exist also as parliamentary groups. In the past, a number of Marxist-orientated organizations had affiliated to the PLO, but most Palestinians had stayed affiliated to Al Fatah (of Yasser Arafat). The working class contains a small number of Arabs still residing in Israel, whilst a large number of them must travel daily from the occupied West Bank into Israel to work in industry. Some of these workers are organized in Palestinian trade unions. There is also a substantial number of working class Sabras. These include Sephardis and some Ashkenazis, with a high birth rate, mainly descended from North African immigrants and the Yemen. Their culture is Arabic, but they are fast becoming assimilated into mainstream Jewish society. There is also a very poor group known as Falashas very much marginalized in Israeli society on account of their colour. The bulk of the ruling class is of Ashkenazi origins, i.e. returnees from the European diaspora, Russian, Polish, Ukrainian, German and others. 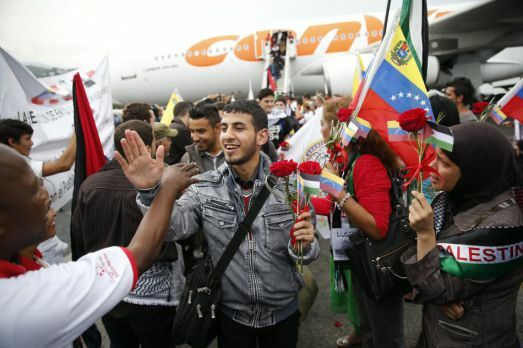 100 Palestinian students arrive at Simon Bolivar airport outside Caracas November 6, 2014. The far Left and anti-imperialist opposition are ill-defined in Israel, with the exception of the Palestinian masses who are daily in confrontation with the settler State bolstered by imperialist interests. The emancipation of the Palestinian Arab people lies ideally in a single unitary state and power-sharing with the Jewish population, but this can only happen with the revolutionary transformation of Israel – and this can only happen as part of the revolutionary transformation of the Middle East. Any fundamental social and political change in Israel would necessarily form part of a fundamental shift and confrontation with imperialism, as part of a regional (or wider) conflagration. This would form part of upheavals in Saudi Arabia and the Gulf Monarchies. Another possibility is the Assad government in Syria gaining more ground, turning the tide against the imperialist proxy forces. At the present time, Shi’a Hezbollah is making overtures in the MENA region towards Sunni groups, outside of the immediate Levant area. Hezbollah is also fighting in Syria alongside the Shi’as of Iran. This points to the development of a more logical and anti-imperialist front; already there have been talks between Hamas (a Sunni group) and Hezbollah (a Shia group). Within Israel itself, an Israeli Arab is the leader of the ‘Arab List’ which represents an important opposition force in the Israeli parliament. In the wider context, there is the emergence of strikes in the oil-bearing Eastern Saudi Arabian seaboard, largely populated by Shi’a followers. In Bahrain, where the population is 90% Shi’a Muslims, there are continual revolts, strikes and demonstrations against the minority monarchist Sunni rulers. In Qatar the immigrant workforce (mainly Bangladeshi) is massively exploited. Their case was notorious around the preparations for the 2022 FIFA World Cup. Doha, the capital, was selected as host in a sea of corruption allegations. The conflict between Saudi Arabia and Iran could work in favour of the Palestinian people presently dispersed throughout the region. At the moment, the Palestinians are rather on their own, but should the exploited masses make advances in Saudi Arabia, Bahrain and Qatar, these Palestinians could start finding more support for their cause. Some of them who worked in the Gulf region prior to the drop in oil prices may find a way to contribute their anti-imperialist experience and professionalism. Whilst we are engaged in discussing “anti-Semitism”, however, world imperialism proceeds with its world war preparations without much noise or analysis. But if the labour masses were cowered and passive in the face of this situation, no-one in the Labour Party would need to attack the left. The ‘anti-Semitism’ campaign in the Labour Party is a sign that the Labour Left is becoming an inner force, strong enough to challenge the Party’s alignment with British (and US) imperialism. The fact that some suspended comrades have been reinstated, although arbitrarily and without explanations, shows that the accusers are on the back foot. 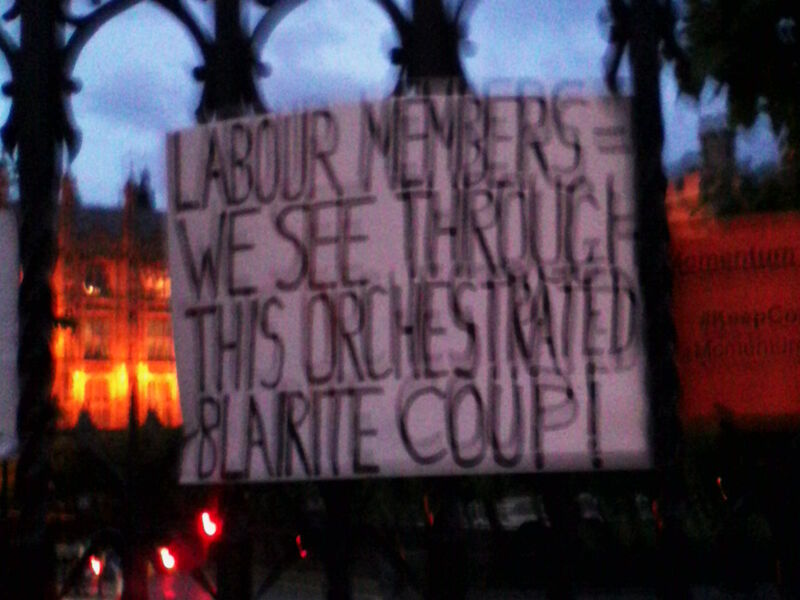 Through Jeremy Corbyn, the Labour left has gained international notoriety. The fact that he reached the Party’s leadership, and with huge spontaneous mobilisations, shows that the whole Party is being revolutionised. Rest assured that the working class is at the root of this. This is why most trade union leaders support Corbyn’s defiant stance against his right wing opponents. The creation of more Labour-Socialist newspapers would help the working class communicate within itself, nationally, internationally, and on a European scale. It is necessary to support those in Momentum who want to abolish the Labour Party’s Compliance Unit. For that Unit behaves no better than a boss. It must be replaced by an open and democratic process of Party studies and debates, on the basis of enlarged Labour meetings in the wards, the constituencies, the regions and on a national scale – without forgetting Scotland, Wales and Ireland. Though it is correct to send submissions to the Chakrabarti enquiry, this body is a substitute for the necessary political functioning of the Labour Party. If the Party must enquire into wrong-doing, let it look into the disappearance of 8 immigrant children from local authorities every week in the UK; and let it investigate how financiers and developers make fortunes out of property, whilst working class people are evicted from their homes. This is the task of the Labour Party. This is how it will win votes. 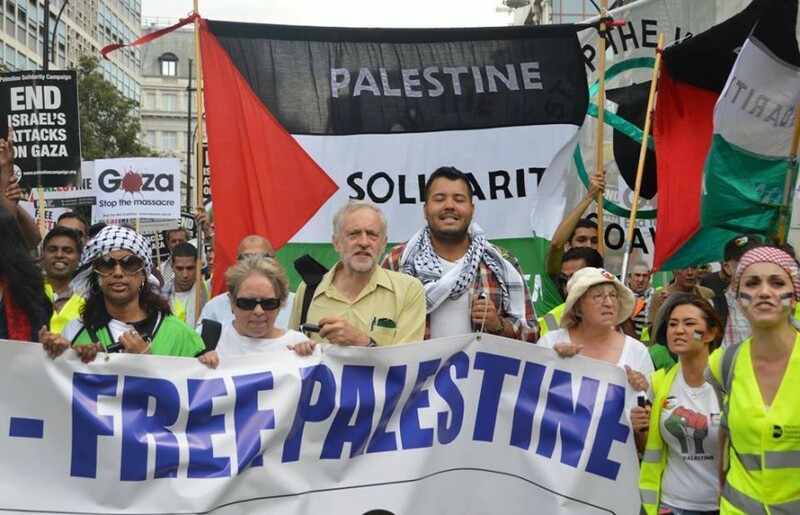 A Labour “Enquiry” needs to be set up to identify who, in the Party, facilitates the re-affiliation of anti-working class and anti-Muslim organisations like the Labour Friends of Israel, the JLM, and others. and to call for the Socialist Federation of the Middle East, with the right of self-determination for all concerned, the Jewish population included. From the experiences of the USSR, China, Cuba, Yugoslavia and others, the Workers State has proved that it is the road to human progress. 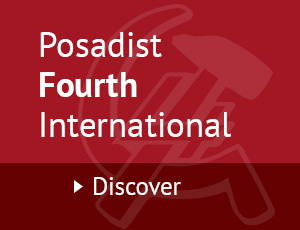 Collective property and planned production in the Socialist Federation of the Middle East will unify all the populations. There is no other way to end the wars, eliminate inequality and allow society to progress without fetters. * Below the following footnotes, please find the text by J Posadas: “The formation of the Palestinian State and the world revolutionary process” 9/2/1978. 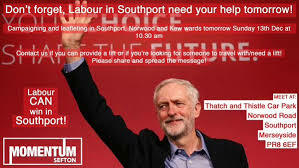 An organization affiliated to the Labour Party and Poale Zion. As early as 30 April 2016, Kate McCann of The Telegraph was reporting 50 members “secretly suspended” from Labour “for anti-Semitic and racist comments”. On 28.4.16 Ken Livingstone declared that “Hitler was supporting Zionism”, and that “When Hitler won his election in 1932, his policy was that Jews should be moved to Israel”. On 3.5.16, these words caused him to be suspended from the Labour Party for “bringing the Labour Party into disrepute”. Proof was never given of this. For those words also, Ken was publicly attacked by John Mann, Labour MP for Bassetlaw as “a disgusting Nazi apologist”. At around the same time, 20 MPs called for Ken’s expulsion from the Labour Party; this included Sadiq Khan, then MP for Tooting. The fact that Ken was only suspended points to hesitancy in the Party’s tops. This underlines the need for mass debates, broadsheets, libraries and publications in the Labour Party. 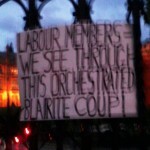 PLP = parliamentary Labour Party. As in the case of Jackie Walker, suspended and reinstated with no explanations. Doitkeyt, in Yiddish means ‘hereness’, the concept of working in the present and not in the immigration of Jewish people to Eretz Israel. See Yitzhak Zukerman’s article “A Surplus of Memory” published in the United States in 1939. Through this concept, many Jewish people have played fundamental roles in Socialist Parties, and in the fight against the Nazis in Poland, Russia, Lithuania and elsewhere. The World Zionist Organisation (WZO) was formed under the lead of Theodor Herzl in 1897. Arthur James Balfour, 1848-1930, Conservative politician, UK Prime Minister 1902-05. Sir Henry McMahon, 1862-1939, British-Indian army diplomat. In 1916, the King of Hejaz obtained a British promise of support for Arab independence. This leader has pan-Arab aspirations. He objected to the Versailles Treaty and mandates granted to the French and British over Syria, Iraq and Palestine. This “Jewish Insurgency” was led by Irgun (1939-1940, and 1944-48), Lehi (1940-48), Haganah (1945-47) and Palmach (1945-47). Naqba means ‘cataclysm’; 700,000 Palestinians were driven out of their lands in July 1948. Followed by years of further expulsions, this continues today. 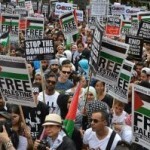 John Prescott denounced Israel’s action as “a war crime”. Since 2008, Gaza has been regularly bombed by Israel – and this goes on right now, this June 2016. Little of it finds its way in the news. Levant is generally understood to include Cyprus, Egypt, Iraq, Israel, Jordan, Lebanon, Palestine, Syria and Turkey – as distinct from the Near East, the Middle East, the Eastern Mediterranean, etc. 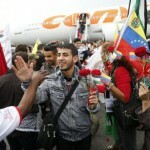 The new Citizenship and Entry law is the continuation of an anti-terrorism law passed in Israel in 2003. Now it limits family reunification and access to solicitors. Israel introduced it recently in response to the shooting of some Israeli people by Palestinians outside a Synagogue – this way punishing the whole Palestinian community collectively. The Black Falashas Ethiopians suffer racial discrimination in Israel. The Great Schism was in 1054 between Eastern Orthodox and Catholics. Named Foreign Minister of Israel by Netanyahu on 25 May 2016. They collect the testimonies of soldiers prepared to ‘break the silence’ and report the Israeli army’s abuse of Palestinians, the lootings and the destruction of properties. Organisation of Trade Unions founded in 1920. Shalom Achshav promotes the two-States solution in Palestine. There is a Palestinian General Federation of Trade Unions, PGFTU. The word ‘sabra’ is an informal term to refer to an Israeli Jewish person born in Israel. The Sephardis have a Judaeo-Spanish language. These Jewish people are said to have origins in the Levant, and their language to assemble various dialects of Yiddish. Native Jewish sect of Ethiopia. Hezbollah is a Shi’a Islamist militant group and political party based in Lebanon. The ‘Arab list’ is a coalition of Arab parties in the Knessett. On 18 June 2016, BBC News reported that the German Minister for Foreign Affairs, Frank-Walter Steinmeier, warned Nato against its warmongering towards Russia. The most recent Nato rehearsal-operation in Poland simulated a war against Russia. Nato involved 31,000 soldiers and every type of advanced weaponry. Steinmeier warned that this “brings no security’ and is lethal for any policy of deterrence. We had examples of such papers after the war, like the Daily Herald and Reynolds News, and nothing stops us from improving upon this kind of thing. Set up by the Corbyn leadership to investigate each case of ‘anti-Semitism’ and hopefully to answer appeals. In this text dated 1978, the Assad of Syria is the father of the present one in 2016 (Bashar). Begin was governing in Israel, and Sadat in Egypt. Arafat was then one of the main Palestinian leaders wishing to set up a Palestinian State. The author poses that the construction of such a new State can only be envisaged as part of the unification of the Jewish and Arab masses, of the Middle East and beyond. 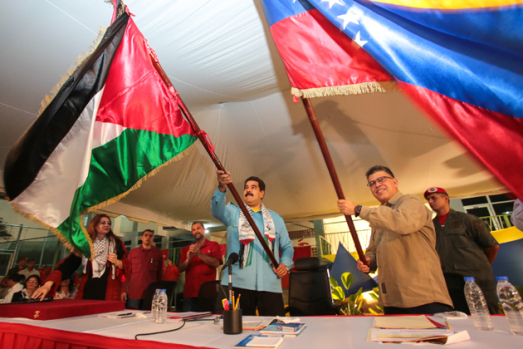 This revolutionary outlook, the only one capable of injecting life into a Palestinian State, presents the Palestinian movements with the need to overcome their patriotic concepts and adopt the perspective of the Socialist Federation of the Middle East. The rise of a Palestinian State would be no problem, even on a small scale, if it were just a matter of creating a State that can develop further. The problem lies in the fact that the very grant of such a State will stop it developing further. The big bourgeoisie will take it over, organise it and annul it. The question of a Palestinian State no longer present as in the past. The same right to live for the Jewish people and for the Palestinians continues, but it has now become part of the global process of class struggle. The Palestinians confront not only the Jewish reactionaries but the reactionary Arabs as well. The way these reactionaries make a fist against the progress of history is changing the situation. The attitude of the Syrians is unstable. Assad was once as reactionary as Begin. He befriends Begin one day, and opposes him the next. The same goes for this appalling character, Sadat of Egypt. This is the conduct of fear. The leaders of the Arab world fear the advance of the revolutionary struggle – Assad perhaps less so, but Sadat definitely. This makes them inconstant. They start diplomatic relations one day and break them off the next. They recall a new Ambassador before the old one has even left. It is like something out of the ‘Marx Brothers’. The problem of a Palestinian State is no longer posed as in the past. Some Palestinian leaders count on the development of left-wings in Arab bourgeois-nationalist sectors in Saudi Arabia and Kuwait. This is not incorrect, and we too hope that they will develop. When it comes to a Palestinian State, however, we do not think that it resolves the problem; for it cannot start, even on a small scale, without at least the right to self-determination, the right to democratic liberties and the right to seek alliances with the Jewish masses. In the epoch we live in, the unification of the Palestinian masses with the Jewish masses is indispensable, as part of a wider unification with the Arab masses. Appeals for this must be sent. Those who take on this task will need patience and the ability to wait. Asphyxiation awaits those who do not seek this unification, even in a new State. The situation in the Middle East resembles that of the pre-1940’s Balkans, with all their disputes and small kingdoms. Capitalism kept its dominion by the constant manoeuvring of one against the other. This only stopped when the Balkans made Workers States. See the historic difference between the Balkans with Workers States and the Middle East without them. What a difference the Workers States make! If it were not for today’s Workers States, capitalism would have nipped in the bud the revolutionary progress of Ethiopia. As things stands, it finds this impossible to do. We agree with calling for a Palestinian State, but with a condition: Appeals must be sent at the same time for the unification of the masses of Israel and those of the Arab world. A Palestinian State can only be unstable. There is no room for the historic development of a Palestinian State. The idea of such a State must be viewed in the wider context of the Palestinians facing both reactionary Jews and reactionary Arabs united against the progress of history. This is why the small movement of Arafat must seek the unity of the Arab and Jewish masses; anything less will leave it with no field of action, no means to survive and the Palestinian State constantly postponed. Those for whom the Palestinian State was the solution would feel deceived. It is necessary to raise this discussion with the Palestinian comrades. Far from going along with things, and waiting for change, one must investigate the conditions needed to give life to a Palestinian State. Such a State can only emerge from a struggle to be free of Zionism, free of the Arab bourgeoisies and free of imperialism! We agree with demanding such a State – and since it can only make a start by imposing itself in this way, the calling for it can serve as a rallying centre. This centre must soon turn to all the Arab masses and seek unity with them. It should appeal for the unification of countries like Algeria, Syria and Libya. If it does not act along those lines, it will have no air to breathe. What sense is there in a new State, if all it does is compete with the capitalist system? A new Palestinian State that does not aim at eliminating capitalism in the Middle East makes no sense. It would have no means to transcend, and therefore no possibility to live. What is the idea behind the creation of a Palestinian State? A great country? But this new State will have to develop economically and compete on the world market – but there is no such perspective at all. The creation of a new country on the eve of the collapse of the capitalist system is not what it used to be. It must consider the present historic conditions, like world war approaching. For the Palestinian populations seeking an independent State, the path is still open to them to unify and develop as Workers States. Only, they must organise to serve this end, and create currents with the political capacity to serve this end. A ‘new fatherland’ is not the task. It makes no historic sense nowadays. There are not the economic and social conditions for it either – and now less than ever, with capitalism engaged in war preparations. The Palestinians frequently use patriotic, local, territorial or religious language such as ‘the Jews’ or ‘the Arabs’. We must help the Palestinian comrades to see beyond their leaders’ concepts of ‘the fatherland’ and ‘the nation’s destiny’. These notions cloud their vision, limiting and obscuring it. Anyone wishing to build a new country must study the prevailing conditions and the reasons for such a wish. There is no doubt that any talk of a Palestinian State is bad news for the capitalist system. Beyond this however, such a State still has to be made. At the first sign at such a State appearing, the Arab bourgeoisies will take control by giving a leg up to a Palestinian layer. They will then supply this Palestinian bourgeoisie with the means to keep down the rest of the Palestinians – mind you, even this scenario is impossible: The rise of a Palestinian bourgeoisie now is as unlikely as a big bourgeois development in Jordan, Libya or Syria. None of these countries – Palestine included – have the possibility, or the need, to develop as independent competitors. Historically speaking, what is the role of the ‘fatherland’? Analyses and texts are needed to explain how the moving process is casting aside the patriotic, the religious and the Arab-nationalist sentiment. The ‘fatherland’ has lost its historic role. Assuming that ‘a Palestinian fatherland’ emerges, its first act must be to unite the country on an economic basis that enables development. Anything less means that poverty goes on, and that a small Palestinian bourgeoisie continues to dominate. This cannot be what the Palestinian masses are longing for! It is necessary to discuss how to organise the Palestinian State for the cultural elevation of all its masses. If the latter are allowed to intervene, they will see to their own elevation. If they are given the time to learn how to intervene, they will create currents and tendencies interested in this matter. What aim for a Palestinian fatherland? Should it cater for one thousand Palestinians, ten thousand Palestinians, or should it see to the progress of life for all? A fatherland is not much good if it does not allow the progress of life. Those who built a State for the progress of life were the Bolsheviks. They made one single State, the Soviet Union, out of populations where 32 different languages were spoken. Everyone could keep their own language in that new State, but the Soviet language became the means to communicate and transmit the need to progress. One must pay close attention to these relatively new questions. In Kuwait, a handful of brigands are ruling the country. They are rich enough to turn sea water into drinking water, but they import everything, water included. Each of them wants a car with automatic food-and-drink distributors at the touch of a golden button, but the rest of the population has no drinking water. What is such a fatherland? We do not ask this question through any sentiment of envy, but to underline the illogicality. We are not opposed to a Palestinian State. Only, we insist in having it explained, and what it must be aiming at. If the idea is to make a ‘great fatherland’, we say that this makes no sense. Should the Palestinians come across such an opportunity, they will be given deserts and the most barren lands. It is true that this could still serve as a means to create a centre of unification for the Arab masses’ struggles, and for their attempt at unity with the Israeli masses against the capitalist system. The sentiments expressed by the other Palestinian leaders like Habache and Hawatmeh are strongly patriotic too. They speak as if a ‘fatherland’ were to resolve all the problems. Rest assured that they will never be granted such a fatherland! Not even a desert! And should the Palestinians come to borrow from the Arab bourgeoisies in order to survive, these bourgeoisies will impose their governments, their leaderships and their police, to serve themselves, and not the Palestinian people. The pro-Zionist Arab bourgeoisies, and imperialism itself, keep in their sights every movement seeking liberation and social transformation. They use every means to defeat liberation. The recent war of imperialism against Ethiopia demonstrates this, like the recent repression that took place in Tunisia. This is why no small country today can hope to be allowed to progress and develop by itself and on its own; not even on a bourgeois basis. The Polisario speaks in Spanish and Arabic. French and Arabic are used elsewhere, and other combinations. 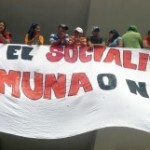 Small countries are no longer allowed to reach bourgeois development. This is why one must propose Federations, integrations and Confederations that respect all the peoples’ roots and languages. There is already enough historic experience, common to all humanity, to deal with these questions. See how Vietnam passed from utter backwardness over to the nationalisation of its economy and the planning of it. The USSR in the main. Editorial. Read by J Posadas: “The new Israelo-Arab war and the class struggle”, 28.10.1973, where the author recalls how Sadat reinstated into the Egyptian army (that same year) some of the military commanders that Nasser had sacked for ineptitude, incapacity and collaboration with Israel in the 1967 war. In 1978, a right wing sector in the Revolutionary State of Somalia started a war on neighbouring Ethiopia to recover the disputed Ogaden region. The United States started helping Somalia as Ethiopia itself was now becoming a Revolutionary State. Edit. On 26 Jan 1978, a general strike started in Tunisia, at the end of many years of working class struggles. With close ties with the West, the government reacted bloodily: 42 killed in the repression, 325 wounded, 1,000 arrested along with the entire UGTT Trade Union leadership. Edit. The Polisario Front is an indigenous Saharawi movement (Sahara) for independence from Morocco. On 15 May 2016, a substantial group of Polisario supporters living outside Africa celebrated (in Belgium) the 43rd anniversary of the birth of their movement. Edit.